Extinction ! Un Zéro Un virgule Quatre sur Un Zéro Trois virgule Six ! 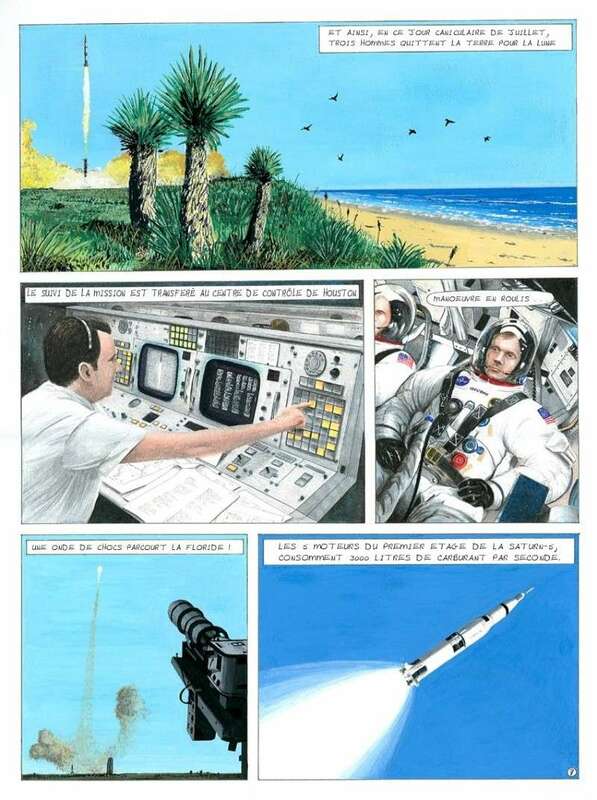 Voici les dernières planches (n° 7 et n°8 ) . Quelqu'un a-t-il prévu de les mettre en ligne sur son site ? Apolloman, peut-être dans un coin de ta page documents ? Au fait, on a le droit de mettre ça en ligne ? Cela me tente, pourquoi pas.. faudrait demander poliment à l'auteur??? OK, je me charge de lui présenter notre projet. We are a forum group of French people passionate about space. We found your comics on the Web and have found it very fine ! We have translated the 8 pages into french and want make it available on a site of a member of the forum devoted to the Apollo missions. We would appreciate that you provide your consent to do this. We give you the links on the various boards and translated the site of the Apollo missions. Sorry I am writing in English, it is much better than my French. 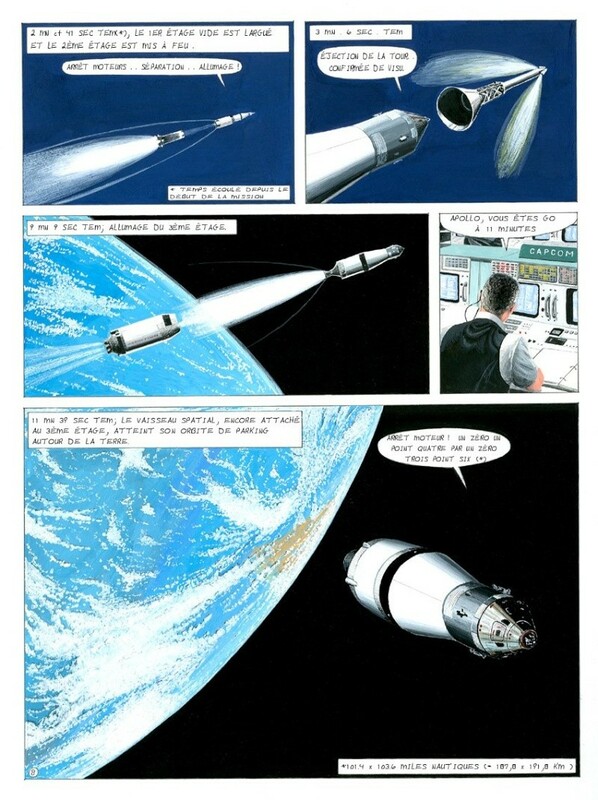 Bravo for translating my Apollo-11 BD into French. I just happened to find it when I 'googled' my name. I was quite surprised. You have my permission to put the French version online if you want. Let me know where you are going to put it. Nothing wrong with your English, Paul. I am honored that you guys do so much work to translate my BD. I made a little correction and the translation of the first page and offer accommodation on my website. The real work executioner is fredB. Hello Ed, thanks for the thumbs up. And I can't resist asking you: any chance of you completing this great BD? Unfortunately I am too busy with my paintings and photo scanning projects. And (small detail) I have a daytime job as well. There is little chance that the BD will ever be completed. Am I allowed to speak English here? Unfortunately I am too busy with my paintings and photo scanning projects. And (small detail) I have a daytime job as well.